*Update: The Pāʻia Relief Route meeting has been postponed. The community has been requesting the archaeological and traffic studies which are part of the draft environmental assessment. Due to these requests, HDOT will release these studies prior to the publishing of the draft environmental assessment and will reschedule the meeting 2-3 weeks after the studies become available in late May. 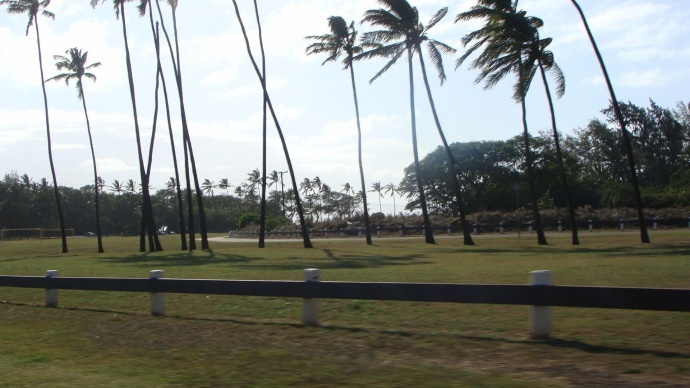 The State Department of Transportation and the Federal Highway Administration will hold a public informational meeting for the proposed Pāʻia Relief Route project to address existing traffic congestion along Hāna Highway in Pāʻia. 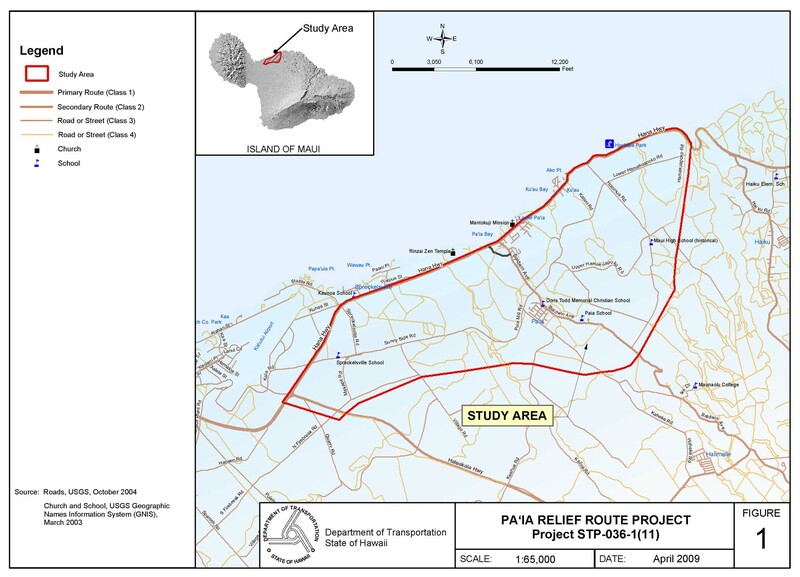 Pāʻia Relief Route (click on image to view in detail). The east-west length of the study area is approximately 6.8 miles between the intersection of Hāna Hwy with Haleakalā Hwy and Hāna Hwy with Hamakuapoko Rd. The study area extends approximately 2.5 miles upslope between the intersection of Hāna Hwy with Baldwin Ave to the intersection of Baldwin Ave with Holomua Rd. The study area also includes the area makai of Hāna Hwy. The meeting will be held on Tuesday, April 17, 2018 at 5:30 p.m.
at the Pāʻia Community Center. A formal presentation is scheduled at 6 p.m. The public is encouraged to arrive as early as 5:30 p.m. to preview the project displays and provide feedback to project team members. The public is also welcome to submit comments at the meeting, by mail to the HDOT, or through the project website. 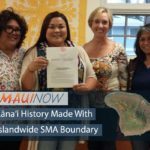 This project will develop environmental documentation for a proposed relief route in Pāʻia as required under the National Environmental Policy Act, the Hawaiʻi Revised Statutes Chapter 343, and other federal and state requirements. The primary purpose of this meeting is to inform the public-at-large about project progress and the proposed new alignment as developed by alternatives analysis. The proposed format is an Open House where posters and display tables present various aspects of the project. According to the project website, the HDOT is preparing an Environmental Impact Statement for the Pā‘ia Relief Route project. The east-west length of the study area is approximately 6.8 miles between the intersection of Hāna HIghway with Haleakalā Highway and Hāna Highway with Hamakuapoko Road. The study area extends approximately 2.5 miles upslope between the intersection of Hāna Highway with Baldwin Avenue to the intersection of Baldwin Avenue with Holomua Road. The study area also includes the area makai of Hāna Highway. 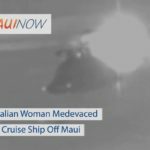 Persons requiring language translation, an auxiliary aid or service (e.g., sign language interpreter, accessible parking or materials in alternative format) should contact Brian Tyau at (808) 587-6390 or brian.tyau@hawaii.gov, fourteen days prior to the meeting date. TTY users may use TRS to contact our office.